This Thursday is the first round of the 2015 NFL Draft, a night where the Browns have the opportunity to make some noise. Cleveland has two first round picks at the 12th spot and the 19th spot. 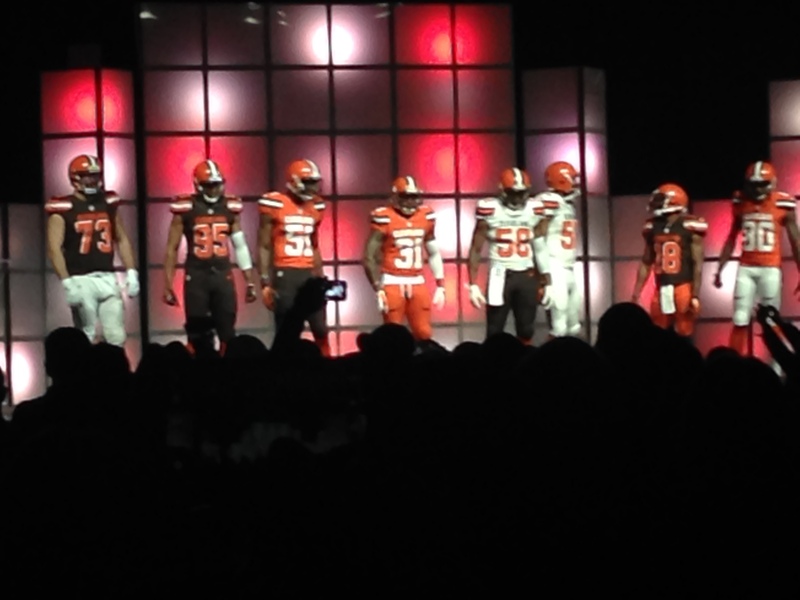 I love the NFL Draft and have watched the 2014 film based on the Browns, Draft Day, to get ready for the big night. In the movie, fictional Browns owner, Anthony Molina, tells general manager, Sonny Weaver Jr. (played by Kevin Costner) to make a splash. Weaver does this by trading for the number one pick, then later that night he makes deals that help him to reaquire the draft picks he gave up to move to the one spot. The Browns may not make cinematic like moves this year, but Browns general manager, Ray Farmer, needs to make a splash! After a disappointing off-season filled with “text gate” and no major free agent signings, Farmer must address some serious needs with the first two picks. Here is a list of five players that the Browns have been linked to. The Browns signed veteran receivers Dwayne Bowe and Brian Hartline this season. They are both solid pick-ups with experience, but production wise their best is behind them. With Josh Gordon sitting out this season due to another suspension, the Browns will need a number one receiver and Parker is that guy. At 6’3″ he is a big receiver with explosive speed. Parker is a play maker which is what the Browns desperately need. If Parker is still available at 12, look for Cleveland to take him. 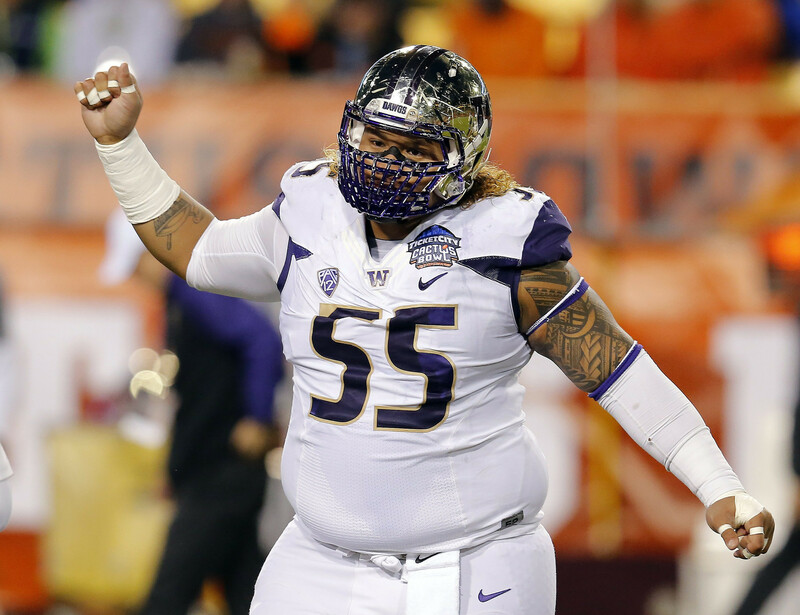 Another serious option for the Browns at the 12th spot is defensive tackle, Danny Shelton. At 339 pounds, Shelton is the defensive monster that the Browns need. He is excellent at stopping the run and is a space-eater that swallows up blocks. Defensive tackle, Phil Taylor, was hurt the majority of last season and drafting another tackle would give the Browns a back up option. Pairing up Taylor and Shelton would make them one of the most feared defensive duos in the NFL. If the Browns address the need for a receiver with the 12th pick, then look for them to take a defensive tackle at the 19th spot. At this point in the draft, Shelton will be off the board, but there will still be some strong options at DT available. Malcolm Brown from Texas is one option, but it is possible that he will be picked before the 19th spot. 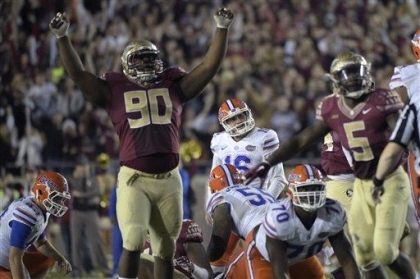 Eddie Goldman will still be available and would be a great pick up. Like Shelton, Goldman is a great run stuffer and he can eat up blocks. Goldman’s physicality against the run is a huge selling point, but he struggles with pass rushing. Another option with the 19th pick would be Georgia running back, Todd Gurley. Last season, Gurley put himself at the top of the Heisman conversation with 773 rushing yards and 8 touchdowns in the first five games. In week 6, he was suspended for four games for violating NCAA rules. When he returned on November 15, he tore his ACL and missed the remainder of the season. Gurley has since been medically cleared and would be a steal for Cleveland if he falls this far. The Browns tandem of rookie running backs, Isaiah Crowell and Terrance West showed bright spots last season, but were often inconsistent. One week they would have huge games and then the next week they would struggle. 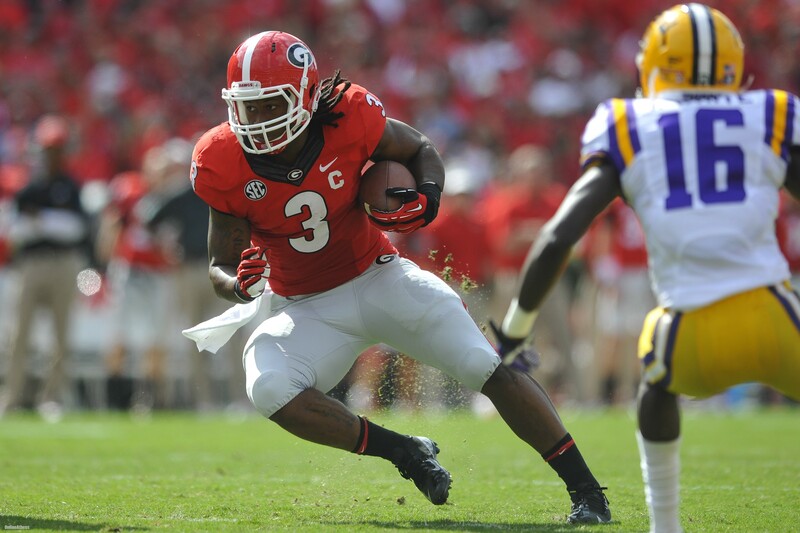 Gurley has a blend of speed and power that should not be overlooked. If Gurley is still on the board, I could see the Browns pull off a shock and take him at the 19th spot. One name that has been linked to the Browns countless times over the last month is Marcus Mariota. The Browns quarterback dilemma is the top discussion of their off-season every year. This season has been no different with the puzzling signing of veteran journeyman, Josh McCown. There have also been reports that Cleveland has tried to trade for Philadelphia’s Sam Bradford twice. Many fans and experts seem to forget about Johnny Manziel. Manziel has been written off by critics after his disappointing rookie season and his voluntary time spent at a rehab facility. I am not ready to give up on Manziel after only seven quarters of play. Johnny showed a great deal of maturity by getting help for his off the field issues and he is ready to focus on football. 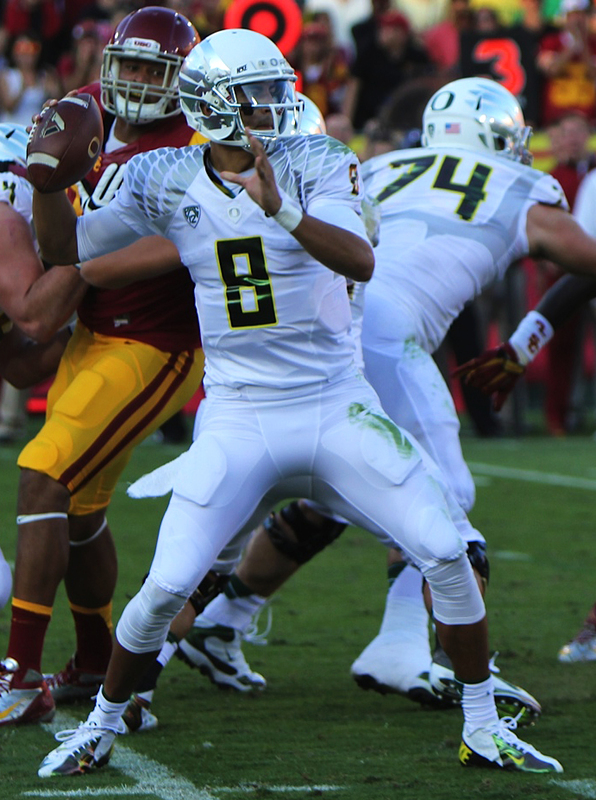 Drafting Mariota would mean that the Browns have given up on Manziel and that would be a major mistake. Also to draft Mariota means that the Browns will have to trade some draft picks or even a key player to move up and grab him. I think Mariota is overrated and Ohio State helped to prove that by exposing his pocket passing inability in the National Championship game. Ray Farmer fueled speculation last week when asked if he would trade both the 12th and 19th pick for Mariota. Farmer responded by saying “Sure, why not?” Browns fans get ready because if Farmer has his way we may have two Heisman Trophy winners on our roster this season. 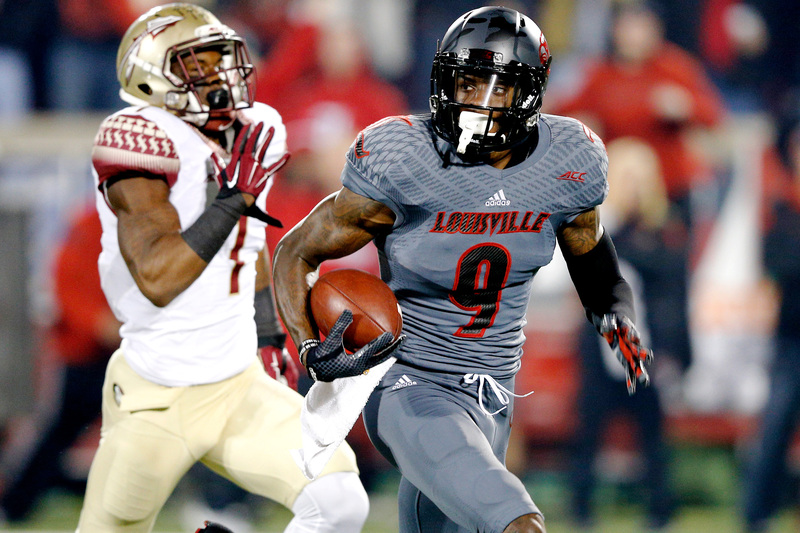 My bold prediction for this year’s draft is that the Browns will take Devante Parker with the 12th pick and Eddie Goldman with the 19th pick.